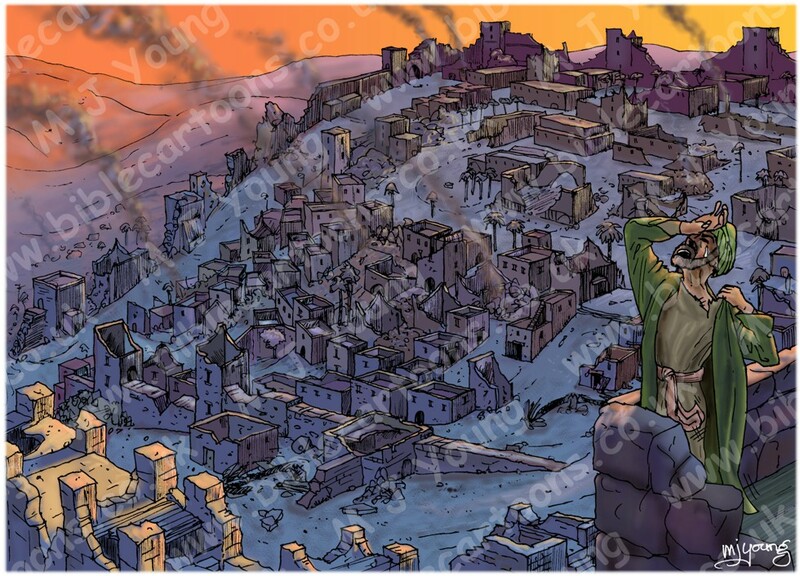 01) (Previous page) Lamentations – Sorrow in Jerusalem – Scene 01 – Desolate city (Dark version). In which the city scene is darker in tone. 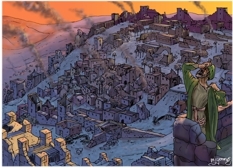 02) (This page) Lamentations – Sorrow in Jerusalem – Scene 01 – Desolate city (Lighter version). In this version the city and background are lighter in tone.